This time last year Justin was in Singapore and I was at my parent's house for brunch. My sister and her family were getting ready to move to Texas. This time two years ago Vaughn had found her pockets for the first time. This time three years ago we were in Scottsdale and it was nothing short of a spectacular. This time four years ago we were in Florida. 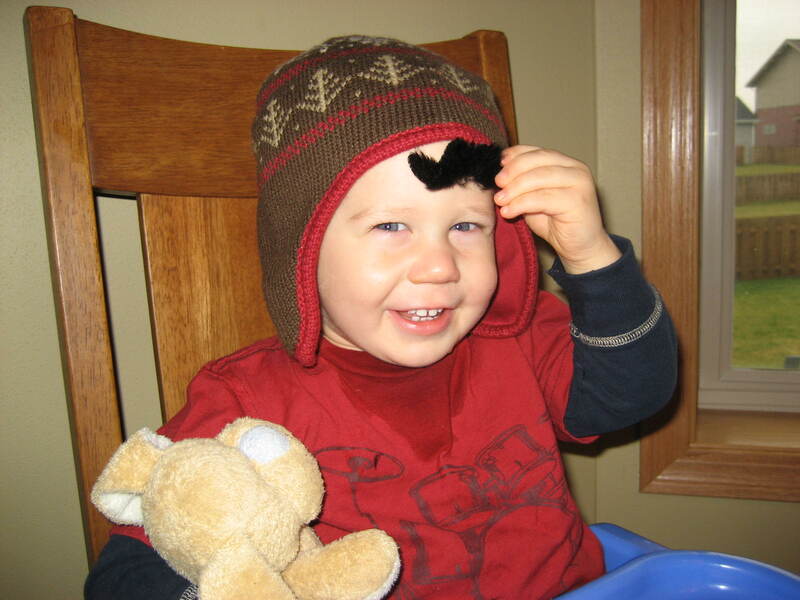 This time five years ago we were at home in Wisconsin, just being silly with moustaches. And thankful that there wasn't any snow on the ground yet. This time six years ago we had sold our first house and were getting ready to move to Wisconsin. We were supposed to be leaving this week for Florida, but had to cancel our trip. More on that later. I think it's interesting to look back on life like this. Apparently we like to travel in November! Today you'll find Vance at school, Justin at work (he's in town this week - woo hoo! ), and Vaughn and I at the library. Are you up to anything exciting today? I think I was there last year?